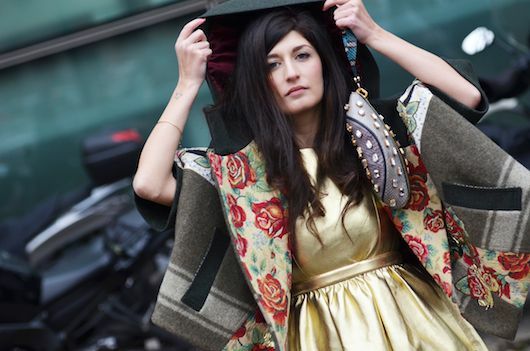 Eclectic, colorful, but never trying too hard is how I would describe Valentina Siragusa's style. 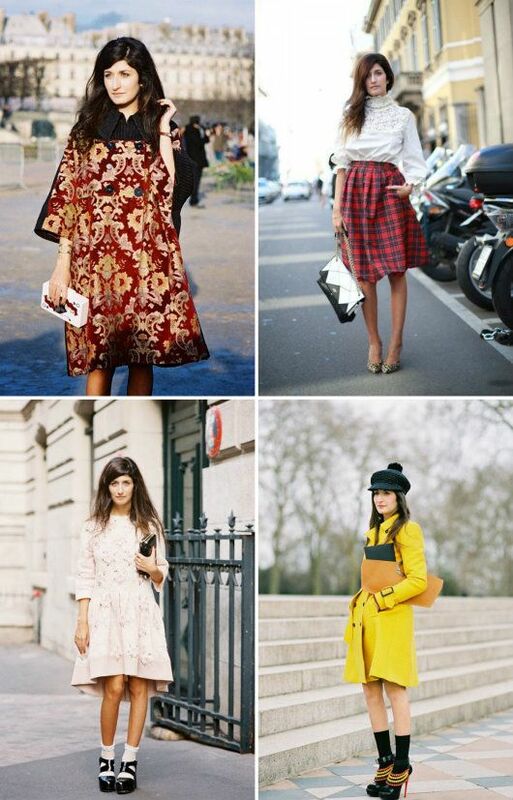 She runs the blog Factory Style, but is best known for her street style photographs as she's very popular with Vanessa Jackman and Stockholm Street Style. I really enjoy her playful, yet sophisticated approach to fashion--she wears luxe pieces so well in brocade coats fit for royalty, but looks equally at ease in mixed prints and a straw boater hat. There is a sense of exaggeration to her looks; she might wear a white blouse & plaid skirt but the blouse imitates Edwardian styles and the skirt is paired with leopard print heels. With her eye-catching ensembles it's easy to see why she's snapped so often at fashion week.